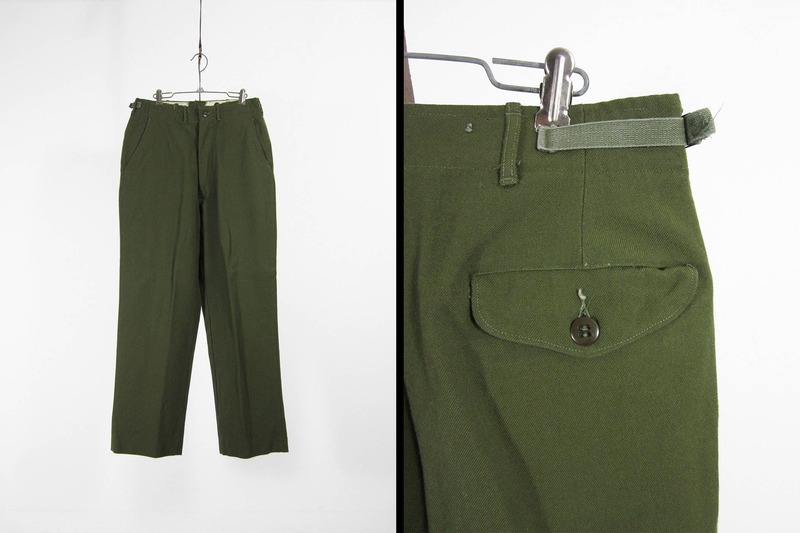 This pair of field trousers is in excellent condition and dates back to the 1950s. The M-1951 pants feature an adjustable cinch waist, inner suspender buttons, and a hidden inside button pocket. The olive green wool has a medium weight making for a perfect pair of winter trousers. These are labeled as a size Small Regular (somewhere around a size 31) but please compare the measurements below to your favorite pants, laid flat, to ensure a proper fit.